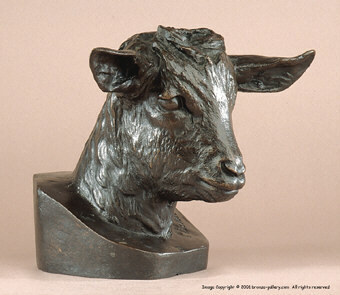 Paul Bartlett did many studies of animals while he lived in France. This amusing life sized head study of a young Goat was cast by him in his Paris studio. It depicts a Goat Kid in remarkable detail with his ears out and his eyes alert. There is a cast of this model in the Smithsonian Museum, where it is listed as having been first sculpted in 1877. 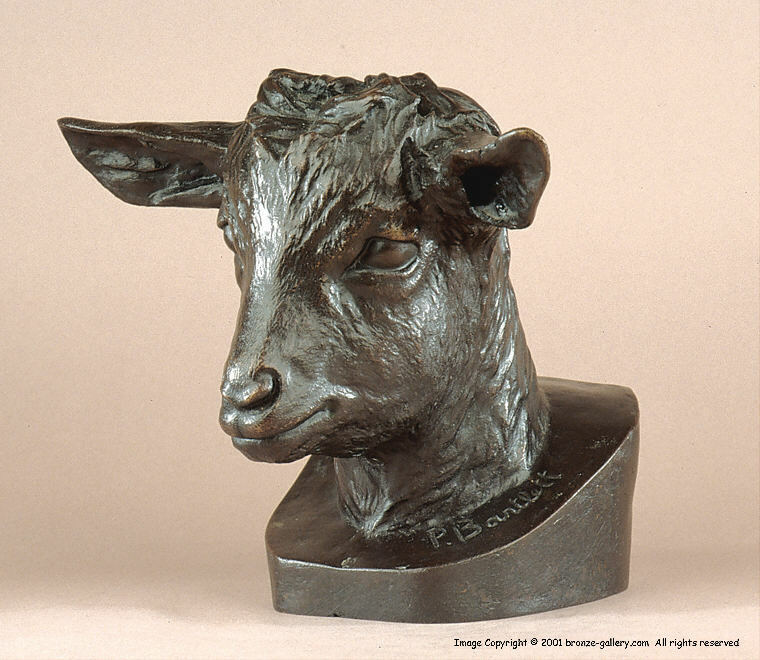 This Goat's head is one of his earliest works and it seldom comes up for sale. The bronze is finished in a rich warm brown patina and signed on the base. It is a fine sand cast done by Bartlett. The works of this American artist who lived most of his life in Paris are in many museum collections and are hard to find..